Baby strollers are designed specifically to make going on an outdoor trip with your baby convenient. As the years go by, technology has essentially reshaped the landscape from our daily lives to various products that we use every day. This also holds true with baby strollers. Nowadays, it can be quite daunting to pick the best baby stroller in the market due to the myriad of features they offer. Two of the most prominent brands at the moment are the Britax B Agile and the Baby Jogger City Mini. These two lightweight and modern looking baby strollers are both marketed as offering optimum convenience and comfort for both parent and child. But which one is the better baby stroller? Britax B Agile VS City Mini, let’s find out. Before we pit the two top-notch baby strollers with each other I think we should first discuss the importance of having a baby stroller on hand once your little bundle of joy arrives. This should give first-time parents an idea of how much having a quality baby stroller will affect certain activities that concern their babies. The primary role of having a baby stroller is to minimize the need to carry your baby around all the time. While carrying your child during the first couple of months won’t be much of an issue, you might be surprised at how fast they can grow . 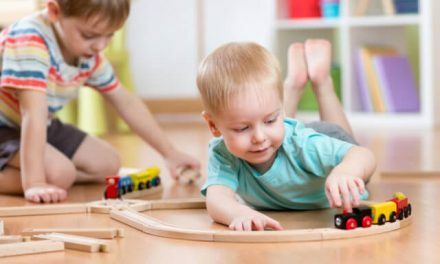 Close to a year old, your baby might have gained enough weight that it will feel as if you are actually doing weight training exercises when picking them up. Your back will thank you if you have a reliable stroller to take the load off every once and in a while. Speaking of, there might also be instances wherein you might need to leave your baby to do something else. Having both hands available during a specific chore is always welcome. Your mind will also be at ease knowing that your baby is just right by your side sitting in their stroller. This is the primary reason for getting a baby stroller but the benefits do not end here. Convenience is one thing but equally as important is the comfort that your baby will have when riding their stroller. A quality stroller will be large enough to offer the best level of comfort for your baby. It should offer enough space for them to stretch their arms and legs. The baby stroller should also have all the standard features such as an adjustable seat, well-padded interior, canopy, and quality wheels. Having a set of security features are also welcome additions. A quality baby stroller must be able to offer comfort and safety to its little passenger at all times. The baby stroller must also offer these qualities not only to the baby but also to the parent as well. This will make taking out your baby out less of a chore and more enjoyable activity. As baby strollers continue to evolve, the easier it is to bring your baby around wherever you go. Going to buy groceries or simply doing chores around the house will not require you to leave your baby behind. Far from it, think of newer baby strollers as mobile cribs. Most modern strollers will also have built-in compartments for essentials. Back then, a baby stroller is merely a stroller and nothing more. Now, you can find baby strollers with breaks that lock into place preventing the stroller from moving without your permission. Basically, with a modern baby stroller you can bring your child almost anywhere knowing full well they are comfortable and enjoying the ride as well. 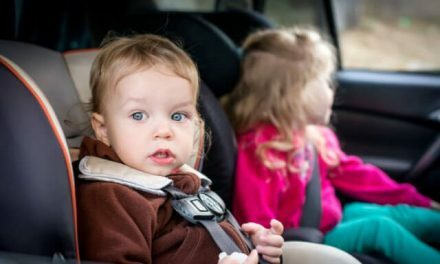 It goes without saying that the safety of our baby is our top priority at all times. This is why it is nice to know that modern baby strollers have also taken a huge leap forward when it comes to making sure our baby is safe and sound at all times. Modern standards for baby strollers dictate that they should come with secure yet comfortable seat-belts , a reliable locking mechanism, intuitive brake system, and a highly comfortable design. It should also be well-balanced and can accommodate the weight of your baby while still offering a high level of stability. You can also find baby strollers that utilize wheels designed specifically for outdoor all-terrain use. These wheels prevent the stroller from juking and jiving too much when going over uneven terrain which means smooth sailing for our little passenger inside. The great thing about modern baby strollers is that no matter how many new features are added it still manages to provide a user-friendly experience to parents. That is what is great about the best baby strollers in the market today. No matter how many extra features they include, they are still designed with first-timers in mind. Obviously, this is an important aspect of what makes a baby stroller great. Can you imagine trying to operate something so convoluted and complex? Now, imagine that and include your baby into the mix. Not an ideal scenario, right? Thankfully, modern baby strollers completely avoid that issue on all fronts. You can pretty much learn the use of the auto-locking mechanism, the breaks, seat-belts, and other features within an hour. Baby strollers are also quite easy to assemble and vice versa. Modula baby strollers are even more convenient as you can detach the seat from the primary frame and have it double as a car seat. That pretty much eliminates the need to purchase a brand-new baby car seat. As I said, convenience. This factor is often overlooked by the buyer but the good news is that most manufacturers do not. New baby strollers are designed to be sturdy while also being compact for easy storage. You can easily see a dozen foldable models in the market at first glance and that is not taking into account the modular baby strollers that are available as well. Most baby strollers today can be folded or disassembled easily for when you won’t be using it for a period of time. This is an excellent feature for homes with limited space as you can simply tuck the baby stroller under the bed or anywhere it can squeeze to when folded/disassembled. Time to find out which of these best-sellers truly earn the top spot as the best lightweight baby stroller in the market today. Let’s begin by looking at what the Britax B Agile has to offer first. The Britax B Agile is a great budget-friendly yet top-quality baby stroller. It features a great size to weight ratio with its spacious yet lightweight design. Maneuverability is also delivered in spades with its smooth as butter wheels and handling capability. Mobility is where the Britax B Agile excels, it certainly earns the ‘Agile’ in its moniker. While the Britax B incorporates basic storage options like a large basket underneath, it does not come with certain features that would help improve convenience for the parents as it lacks any parent consoles. That being said, the level of ease that it offers when traveling definitely puts it among the top tier baby strollers in the market. Let’s go more in-depth with what the Britax B Agile has to offer. One of the features that truly pushes the Britax B Agile to the upper echelons of top lightweight baby strollers is its one-handed fold capability. Folding the B Agile after use is as easy as pulling the handle located on the seat. This feature comes with a safety lock to prevent your baby from accidentally pulling on the lever as well. Unfolding the Britax B Agile, on the other hand, will require both of your hands. Brakes are done via a large pedal which is extremely easy to operate as you simply press and lift it if you wish to stop or release the brakes. It comes with a decent number of storage options with the main compartment bin that can hold up to 10 lbs. and is easily accessible from the back and side of the strollers. The canopy also incorporates two small pockets; however, these pockets do not have zippers. The sunshade is relatively smaller than the City Mini but does a fine job of protecting your child from the sun. It also features a mesh window that allows you to check your baby at any time. The mesh window also offers good ventilation. 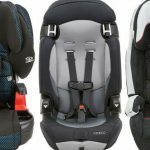 As for the safety features, the Britax B Agile uses the standard 5-point harness design. The shoulder straps utilize extra padding for added comfort for your baby. However, the padding makes it bulkier which slightly makes adjusting the part a bit difficult but still manageable. The Britax B Agile weighs around 17.4 lbs. and is one of the lightest and most compact high-quality baby strollers you can find in the market today. It is a perfect choice for parents who have limited storage space at home and for those who prefer a lightweight baby stroller. 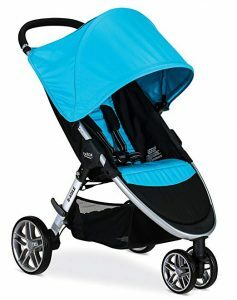 The Baby Jogger City Mini is a more budget-friendly option but doesn’t think it skimps on quality and features. There is a reason why the City Mini managed to come out as one of the top lightweight baby strollers in the market today. While some design decisions by Baby Jogger made specific factors of the City Mini a bit complicated, it is balanced by the price and overall quality of this baby stroller. Folding the City Mini can be accomplished with one hand by pulling the lever located on the seat. It will lock into place once folded and comes with a built-in strap to make carrying it around easier. Unfolding the City Mini, on the other hand, is a two-step process but is still relatively simple and easy to do. The brake mechanism is similar to the Agile B as the City Mini uses the pedal design, albeit this one is located in the middle of the axle which prevents the wheels from inadvertently getting in the way whenever you press the pedal. A simple change that significantly enhances the convenience. As for storage options, the City Mini comes with a medium-sized compartment located on the lower seat. Due to the baby stroller’s compact size, some parents might find accessing this storage bin a little difficult. It has a storage capacity of 10 lbs. so pack light when traveling. As for additional compartments, you have a mesh pocket located on the back seat and can be used to store your phone and keys. The sunshade quality is a bit divisive as the vinyl material used for the window generates a slight glare. This glare makes it a bit difficult to see through the mesh. However, the sunshade as a whole has a UV 50+ rating which helps completely block out harmful UV rays from the sun. It also uses Velcro straps for the window closures. Similar again to the Britax B Agile, the City Mini features the 5-point harness to help secure your baby inside. Adjusting the shoulder straps is more difficult compared to the B Agile though as you need to manually rethread the straps which are difficult to see. The harness does offer 3-height options and an easily adjustable crotch strap to help further secure your baby comfortably. The City Mini comes with an easily adjustable reclining seat. You can lower the seat with one hand but you’ll need both hands to raise it back up. 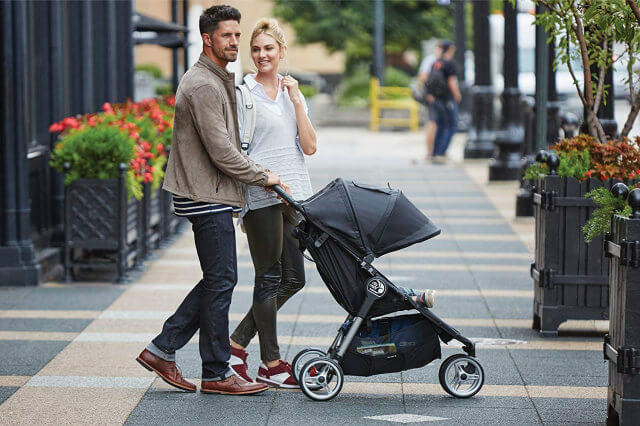 Compared to the Britax B Agile, the City Mini offers a more upright position but can be lowered enough to provide a comfortable position for napping babies. Overall, the City Mini weighs in at 17.5 lbs. which is virtually similar to the weight of the Britax B Agile. The City Mini is also well-constructed with a tough frame with edges all smoothed out to prevent injuries. The City Mini also has a bulkier appearance compared to the B Agile. The fabric is washable but I doubt that it is breathable. What Makes a Great Baby Stroller? As you can see, getting a baby stroller nowadays is essential and a worthwhile investment in the long run. Two of the most highly recommended baby strollers you can find today are the Britax B Agile and City Mini. But before we get to the main event let’s first run down the ‘tale of the tape’ first, shall we? These are factors that are considered essentials when it comes to baby strollers. It must be newborn ready. First and foremost, for first-time parents, it is important to know if the baby stroller that you are eyeing is designed for your baby. Some baby strollers are specifically designed for infants who are at least 6-months old. If you have a newborn, it is important to look for a baby stroller that can accommodate your baby properly. Look for strollers that have ample padding and a reclining seat. If you already have a baby car seat then there are baby strollers that are designed for this as well. Just make sure that the seats can be attached securely and without any problems. You should also look for baby strollers that offer compartments that allow you to bring baby essentials around with ease. Make sure it is perfectly safe for your baby. 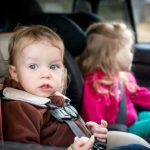 5-point harness strap that is easy to secure and remove. The frame should be free from any sharp or jagged edges. The frame should also prevent small fingers and toes from being caught and stuck in. The frame must be well-made and can support a decent amount of weight. Remember to check the above safety requirements when buying a baby stroller. Once you have, you can pretty much guarantee that you will be able to land on a reliable and safe baby stroller. It should be as user-friendly as possible. You need to ask a lot of question to determine the ease of use of a specific baby stroller. Can you easily fit it in the trunk of your car? Is it light enough to be easily carried a flight of steps? Can you maneuver the stroller easily with one hand? Can it fit through all doors and aisles in the store? How often will you be bringing the stroller with you? Is it easy to clean? Basically, think of the way you and your baby will be using the baby stroller. What are the possible issues you might encounter? Make sure you cover all bases before making a purchase. It should come with several storage options. In order to make sure your travel outside with your baby goes as smoothly as possible, you should opt for a baby stroller with several extra storage options available. For example, having a compartment at the bottom can be a good place to store extra diapers, milk, baby food, or even your grocery. This will also allow you to have full use of both your hands. It must have a sturdy and well-made canopy. Canopies are essential for protecting our baby from the harmful rays of the sun when strolling around the park. It will also prove to be a Godsend in the unfortunate event that you and your baby get caught in a sudden downpour. 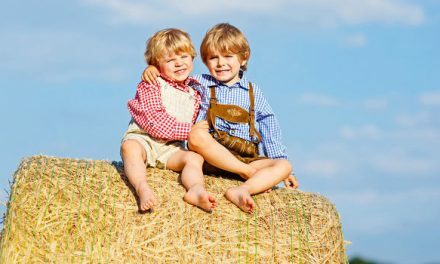 Make sure that the canopy is made from quality material and is designed not only to shield your baby from UV rays but all other natural elements as well that you might encounter. Based on the review for each baby stroller above, both are near identical to each other in terms of features. However, the Britax B Agile edges out its competition in terms of convenience and ease of use. While more expensive, its lightweight and travel focused design makes it an ideal choice for busy parents. 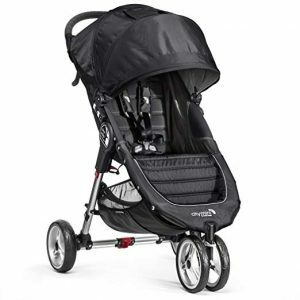 On the flip side, the Baby Jogger City Mini is a more affordable option that provides optimum protection from the sun with its UV 50+ canopy. The seats are also designed for better comfort and are just as lightweight and compact as the Britax B Agile. However, it lacks certain accessories that are readily available with the Britax B Agile right from the get-go. Choosing between the two is a matter of budget and how often you plan on using the baby stroller. The Britax B Agile is the better option for active families with its superb convenience while the City Mini is best suited for parents who are looking for something more budget-friendly. Hopefully, this article has helped you determine which between the two fits you and your baby’s needs. 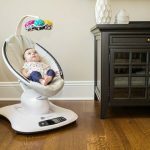 PreviousThe 5 Best Night Lights for Nursery: Improve Your Baby’s Sleep Now! Appeared a large concern regarding whether or not online casinos rig there games. When the spinning in the wheel stop the ball concerns rest at any particular pocket in the wheel. cost-free reward bingo codes that can be used to complete for no cost. 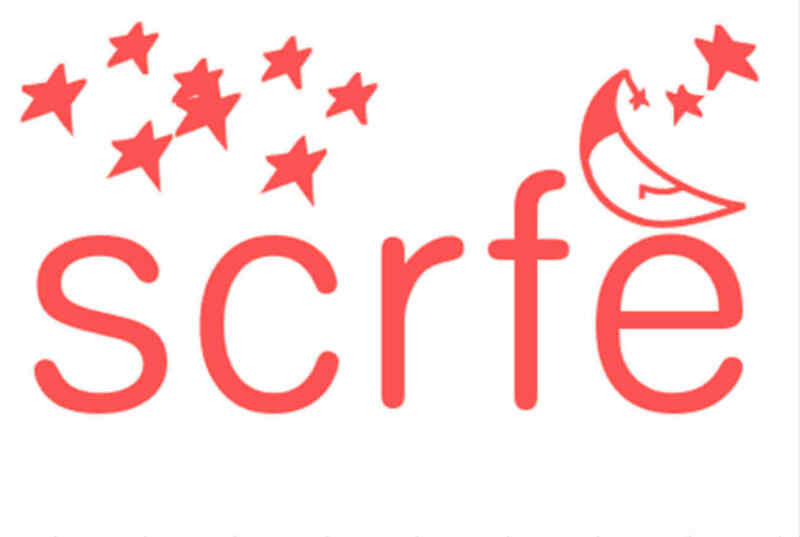 gaming platform that may make it possible for it to move into the actual cash gaming market place. maidens or claimers, because these races do tend to be won by the market leaders. The Unbelievable Hulk carries a just one of an form reward recreation that has you tossing helicopters onto police cars. another card) within your mission to get as close to twenty-one without groing through that will beat the dealer’s hand.